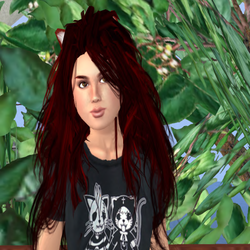 My name is Han Held and I have been a virtual world resident since 2005. Admeja is my personal standalone world based on the opensim server platform. On this world I build, relax, play with creating regions (island areas, usually 256x256 meters in size), explore the hypergrid (a network of independent opensim grids, connected through the internet), listen to music, dance and chat. Admeja has been remade several times since I began building it in 2011; varying in size from 1 to 22 regions. In spring of 2013 Admeja grid changed from being an occasional diversion to being where I spend half or more of my virtual world time. Until 2015, I hosted Admeja on my personal computer, and it was mostly closed to visitors. Now that I have found an affordable server, visitors are allowed with the understanding that what they are seeing is a "work in progress". In 2016 I began the "Neuanzere Project", which is hosted on Admeja Grid. The Neuanzere project is a virtual micronation which hopes to explore ways to utilize the hypergrid within the framework of being a virtual/imaginary country. In January 2017 I ended the NEuanzere Project and took a four month haitus from Opensim. I returned full-time in May and have began rebuilding my grid, toying with the newest version of Opensimulator. Admeja was closed for 2018, but as of late January has been reopened though future plans remain vague. All rights reserved, reproduction without permission prohibited.